View GoDaddy's professional email address provider service for your business. Includes info on GoDaddy, free trials, pricing, customer reviews, and FAQs. 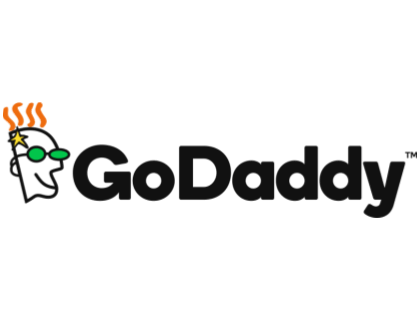 GoDaddy is a platform for small businesses that offers resources needed to to grow and manage an online presence, such as domain names, website builders and web hosting. These tools are valuable resources for startups that need a professional email address. Pros: GoDaddy's initial pricing plans are reasonably priced. Cons: Seems as if some of their company policies don't sit well with their customers. Bottomline: Do research before you decide to use GoDaddy to ensure you understand their policies and practices. Is there a GoDaddy free trial? Yes. All Go Daddy's pricing plans start with a one-month free trial. Where can I find the GoDaddy login? Visit sso.godaddy.com to find the GoDaddy login. What are some GoDaddy alternatives? Story: I was wanting to design and build a site to put my resume on and showcase my skills, so I went to GoDaddy to search for a simple domain name to use. The domain that I wanted was available. Later that night I went to purchase the domain and its was gone. I thought maybe I just missed my chance or maybe, just maybe, GoDaddy kept tabs on what is searched for and buys the domain right away to sell it back to you. I shook it off and purchased a domain similar to what I originally wanted. About a month later, I got an email from a person named Anita from a website domainsbyproxy.com: (Owned by GoDaddy) donotreply@domainsbyproxy.com March 15 (6 days ago). Reply to me: Hello,I realize you are the owner of a similar domain name to mine. Would you be curious about the fkennedy dot com ? Thank you for your attention.Regards.Anita. What the actual hell? They quickly buy the domain and try to sell it to me for $2,195?? So guys, I just want to make you aware, if you're going to purchase a domain, don't wait. Get it right away! Had a domain from them. Due to personal reasons I decided not to renew my domain, and they cancelled it. I bought the domain for $12.00, but they wanted me to pay $200.00 to renew it....**** them. That is actually normal if the domain goes into the "redemption period" where they "hold" it for the current owner. Sometimes it is helpful, because you have awhile longer to get the domain back after expires, but in most cases it is more than anyone is willing to pay. I've paid this before, and was honestly thankful that I still had an option to keep my domain even at the inflated price. I've heard stories of auto renewal not going through and then they do the same thing on your now expired domain, even if CC details were up to date.Their hosting also *****. It's all shared hosting, so everything is running on one instance with other people. So if other people code like **** and just hog memory and CPU, your website also suffers. I've used them before with basic accounts and their database servers performed slow, causing end-users to have to wait for page loads. They take advantage of non techies. Try buying a domain name from them, then watch how much crap they try and sell you during checkout. It's brutal. Their entire site and system is built around making you purchase unnecessary additional services, by making various processes confusing. I have also heard rumors that if you search for a domain with them, but don't finish the process, they may buy it themselves and next time you try, it will be in the premium domains with a much higher price. But don't know if that's true. I hate them with a passion.